Microsoft 3D Builder app is now available on Windows 10 Mobile and Xbox One. 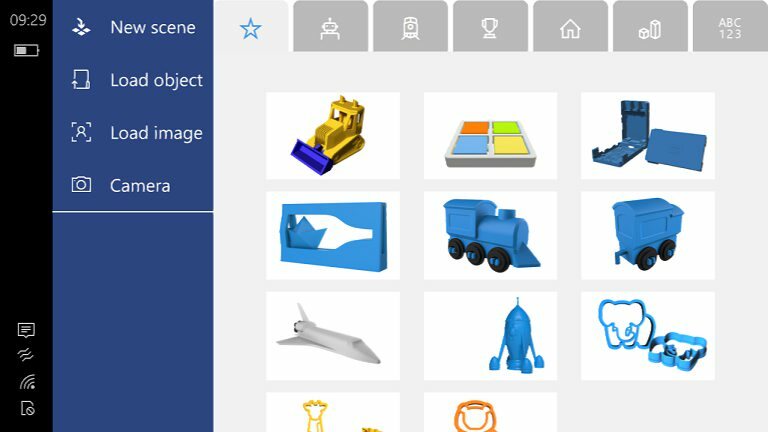 Now you can 3d print your models from more Windows 10 mobile and Xbox. 3D Builder is an app that allows users to create, design and share 3d models as well as 3d print them directly from within the app. The 3D Builder app also works with Kinect, allowing you to scan in items directly within the app. 3D Builder provides everything you need to make any 3D content printable. Open 3MF, STL, OBJ, PLY, and WRL (VRML) files. Clean up models by smoothing and simplifying. Automatically repair models so you can print them. Use the 3D Scan app to scan yourself in full color. Take pictures with your webcam and make them 3D, or use BMP, JPG, PNG, and TGA files. Emboss any model with text or images. Drag-and-drop to build with simple shapes. Merge, intersect, or subtract objects from each other, or slice them into pieces. Add a base to uneven objects. Print directly to supported 3D printers using multiple materials or order your model through our preferred online printing service: i.materialise.com. Print images of your 3D objects on paper. Save as 3MF, STL, PLY, or OBJ files.